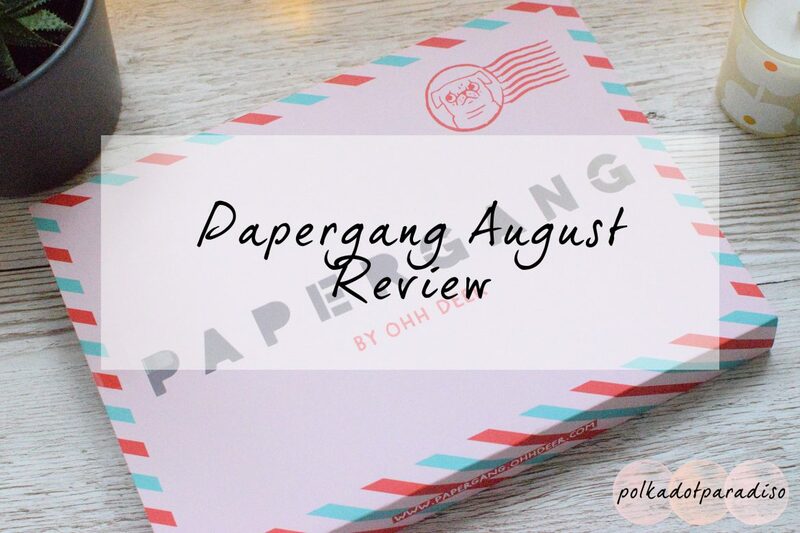 I was so excited for this month’s Papergang! The sneaks on Instagram told me it was being designed by Gemma Correll. She’s a designer whose illustrations I’ve loved for a while. The prospect of a whole box of her goodies sounded amazing! I was anticipating a whole heap of red and while it’s not my favourite colour, I loved this pile of goodies on first sight! It was pretty much exactly what you’d want from a stationery box – cute pens, post its, stickers, a notepad and greetings card. First up lets talk pens. Not one but three pens in this box. In such cute designs too! My favourite has to be the ones with bunny slippers on. These pens are all black gel pens and write pretty nicely. They skip a little and take a few seconds to dry but I enjoy using them. My only complaint is that one of the lids developed a small crack in it pretty quickly and wouldn’t stay on. It was a shame as these felt pretty sturdy and well made. In terms of paper, this box has you covered this month, with a large A5 to do pad and sticky notes. I’m pleased to report the sticky notes actually stick! It’s always a bug bear of mine when post its in boxes have zero sticking power. While the paper in these pads is thick, it’s got a recycled feel to it which I’m not a huge fan of. I like my paper to feel smooth as pens tend to bleed less. This month’s greetings card was my favourite so far of all the boxes I’ve had. It can’t come as any surprise that my favourite goodies in this month’s box were the stickers. Even how they were packaged was awesome, in a frosted envelope. Inside there’s four sheets of the same design sticker and they’re perfect for use in a planner. That pug one is the clear favourite! These stickers are fantastic quality as they’re printed on thick glossy paper. Watch out for these appearing in some weekly spreads of mine soon! Absolutely. There’s nothing in this box that I didn’t like. It’s also a fantastic value box with everything inside being worth £23.85 altogether. I know I’ve said it most months of having these boxes but the value is fantastic. While I’d have preferred the paper to be a bit higher quality, it’s in keeping with the overall style of the items and won’t stop me from using them. This months box has also helped me develop a love for pugs! The ones in Gemma’s designs are adorable. If these goodies look too good to pass up then you can find Papergang here (referral link).